Modern storage arrays can’t compete on price without a range of data reduction technologies that help reduce the overall total cost of ownership of external storage. 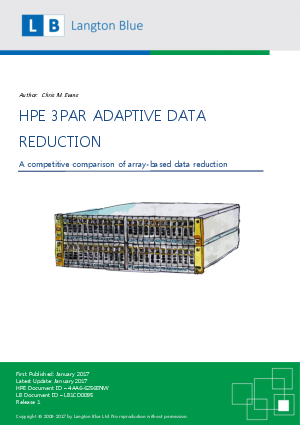 Unfortunately, there is no one single data reduction technology that fits all data types and we see savings being made with both data deduplication and compression, depending on the workload. Typically, OLTP-type data (databases) work well with compression and can achieve between 2:1 and 3:1 reduction, depending on the data itself. Deduplication works well with large volumes of repeated data like virtual machines or virtual desktops, where many instances or images are based off a similar “gold” master.